After a winter that might be one of the worst on records golfers in Eastern Ontario are itching for any sign of Spring an one of them comes this weekend. On Saturday and Sunday (March 8/9), the 20th annual Ottawa Gatineau Golf Expo will play to at the Ernst and Young Centre in the south end of Ottawa at 4899 Uplands Drive. Billed as the largest golf show in Eastern Canada the show will feature some 90,000 square feet of floor space filled with products and informational displays from travel destination, golf course, and a whole lot more. Every paid entrant receives a ballot into the Golf Expo Jackpot draw for a golf package (consisting of travel, equipment, green fees, accessories, and more) worth more than $5000. Major golf equipment manufacturers like Adams Golf, Callaway Golf, Cobra-Puma, Nike Golf, and TaylorMade will also be on hand so golfers can test their latest gear. On Saturday the representatives for those companies will join Flagstick Associate Publisher Scott MacLeod on the Seminar Stage for a moderated talk and audience Q&A session about advances in golf equipment technology. 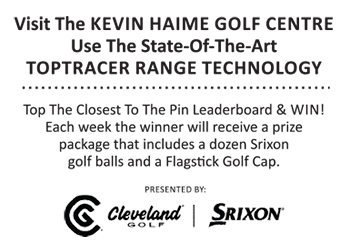 Additional seminars will be conducted over the weekend by 2000 PGA of Canada Teacher of the Year Kevin Haime and renowned trick shot artist and golf entertainer Todd Keirstead. There will be plenty of contest happening throughout the venue and young golfers will receive some special attention. The first 50 junior golfers to visit the show each day will receive free prizes and there is a 5000 square foot Kid’s Zone being operated by the Golf Association of Ontario. It will feature instruction, games, and competitions. The 2014 Ottawa-Gatineau GOLFEXPO, presented by National Golf Course Owners Association Canada, runs March 8th -9th at the CE Centre, 4899 Upland Drive, Ottawa. Show hours are Saturday 9:00 am – 6:00 pm and Sunday 9:00 am – 5:00 pm. For more information, visit www.golfexpos.ca.